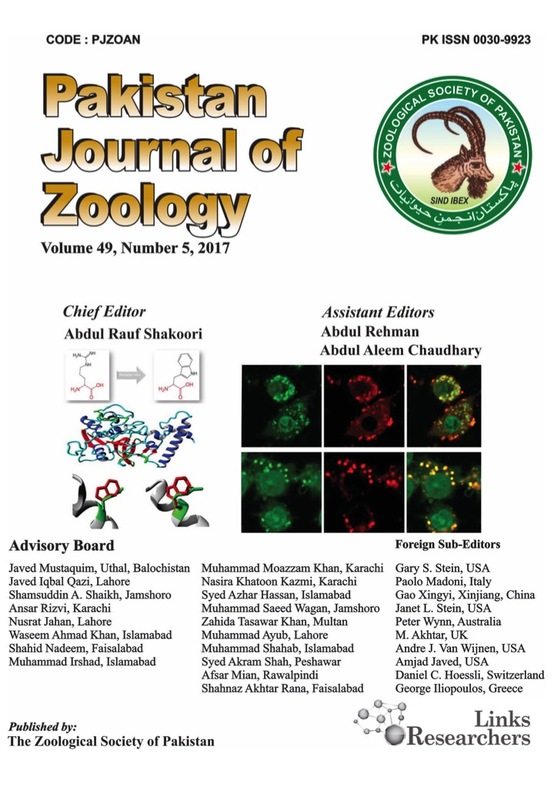 Comparison of emergence of IJ of Steinernema feltiae and Heterorhabditis bacteriophora from Galleria mellonella larvae. 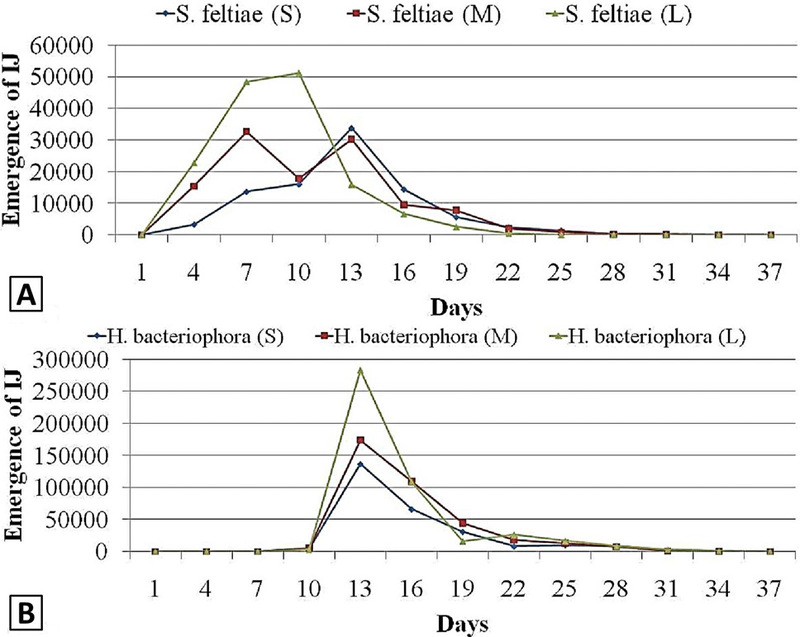 Comparison of emergence of IJ of Steinernema feltiae (A) and Heterorhabditis bacteriophora (B) from small, medium and large sized Galleria melonella. 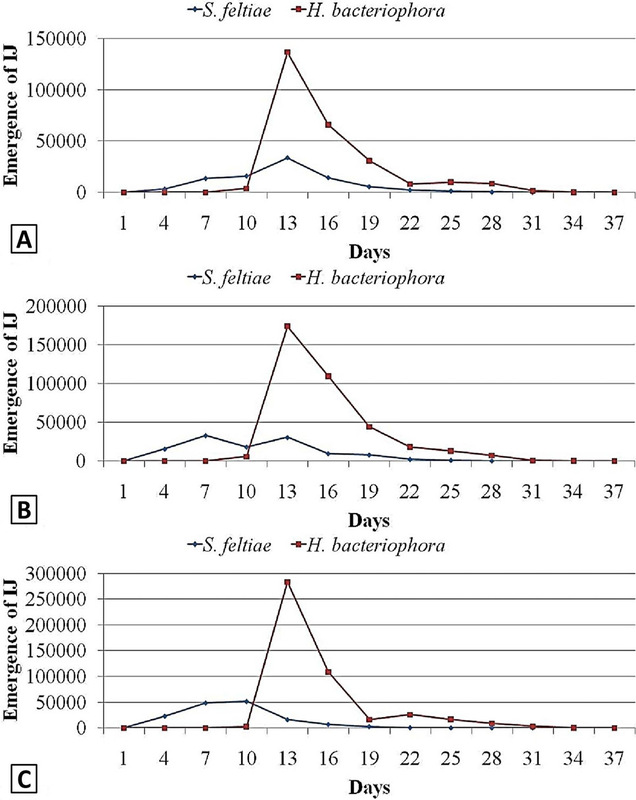 Comparison of emergence of IJ of Steinernema feltiae and Heterorhabditis bacteriophora from small sized (A), medium sized (B) and large sized (C) Galleria melonella.